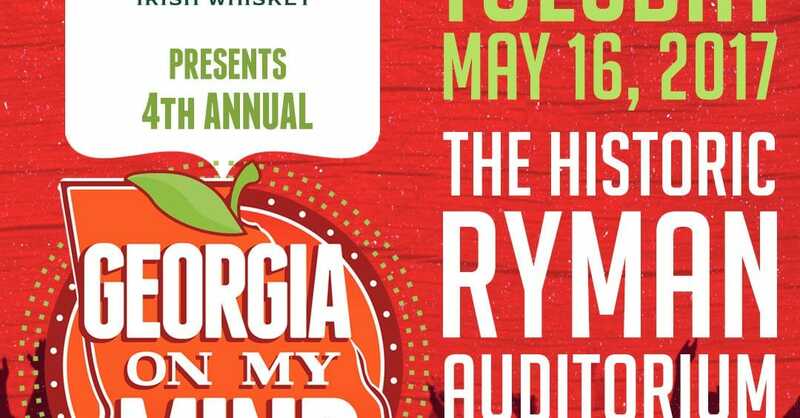 Georgia is on the minds of music lovers as the first round of talent is announced for the “Fourth Annual Jameson Irish Whiskey Presents Georgia On My Mind” concert on May 16, 2017 at the historic Ryman Auditorium in Nashville. 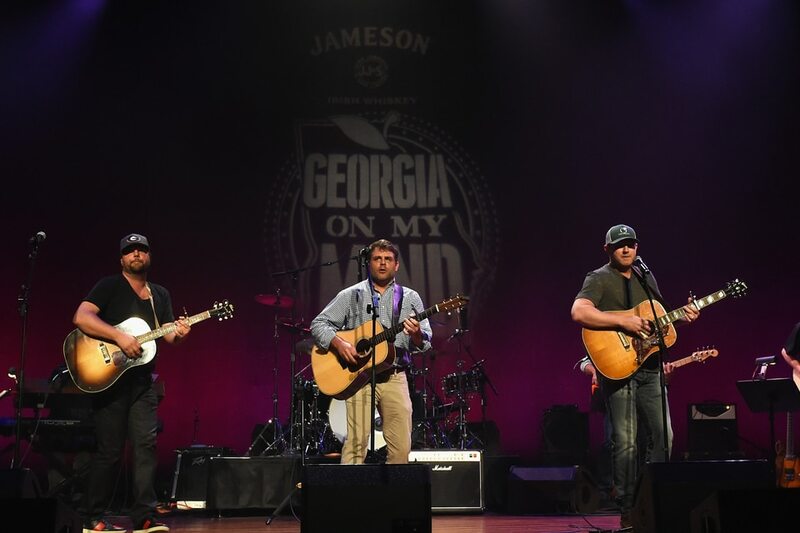 Hosted by the Peach Pickers – Rhett Akins, Dallas Davidson, and Ben Hayslip –the concert benefits the Georgia Music Foundation. Tickets, which are available now, are $52.50 and $42.50 and will be available via Ticketmaster outlets, ticketmaster.com, ryman.com or by calling 800-745-3000. Friends of the Peach Pickers scheduled to perform include current chart-toppers Lauren Alaina, Chris Janson, Kip Moore, and Michael Ray; Grammy-nominated singer/songwriter T. Graham Brown; Georgia Music Hall of Famers Drivin’ N Cryin’ and Jimmy Hall of Wet Willie; and back by popular demand this year, Dexter Redding and Otis Redding III, sons of the legendary soul icon Otis Redding. Additional announcements and surprise guests are expected. The evening also includes a special performance by students from the Georgia Pick and Bow Traditional Music School in Dahlonega, who received a grant from the Georgia Music Foundation in 2016 from concert proceeds. 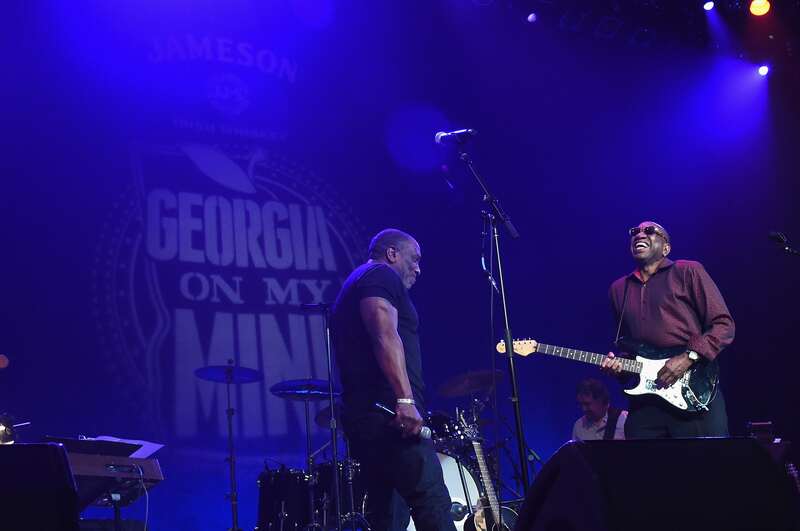 “At Jameson we believe music has the power to make a community a family, and we are excited to celebrate and be part of the Georgia-bred music family for the fourth year with ‘Georgia on My Mind,’” said Sebastien Borda, Director, Jameson, Pernod Ricard USA. With a reputation for surprise appearances by unannounced guests, the event usually sells out in advance. 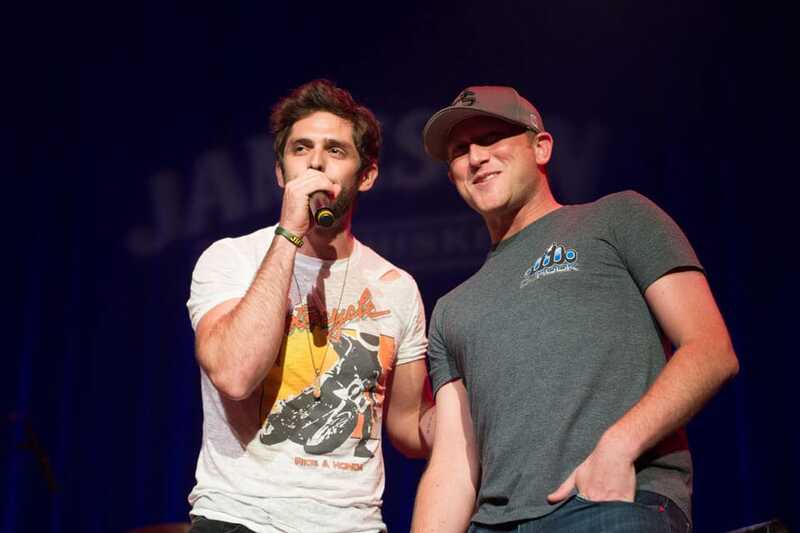 Over the past three years, friends joining the Peach Pickers on stage have included Luke Bryan, Jason Aldean, Big Boi of Outkast, Thomas Rhett, Cole Swindell, Kevn Kinney, Lee Brice, Craig Campbell, Tyler Farr, Maggie Rose, Daryle Singletary, Brent Cobb, and more. 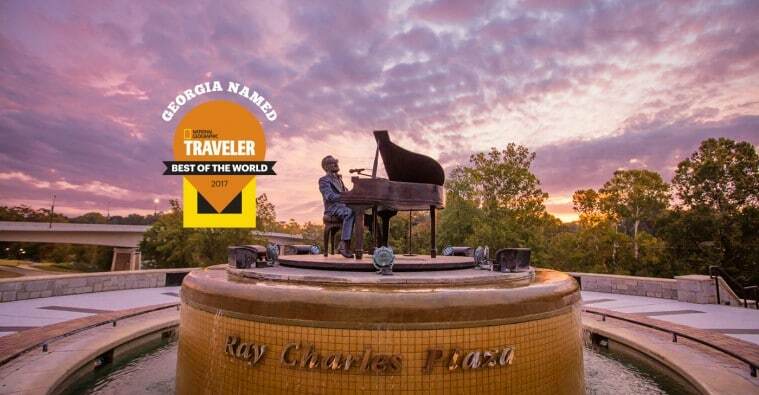 Georgia’s live music and music heritage landscape made National Geographic’s prestigious list of 21 “Best of the World” destinations for 2017. To plan your next vacation around Georgia music, visitwww.exploregeorgia.org/music or connect with Georgia Tourismon Facebook, Twitter, and Instagram.